We are overwhelmed (in a good way!) 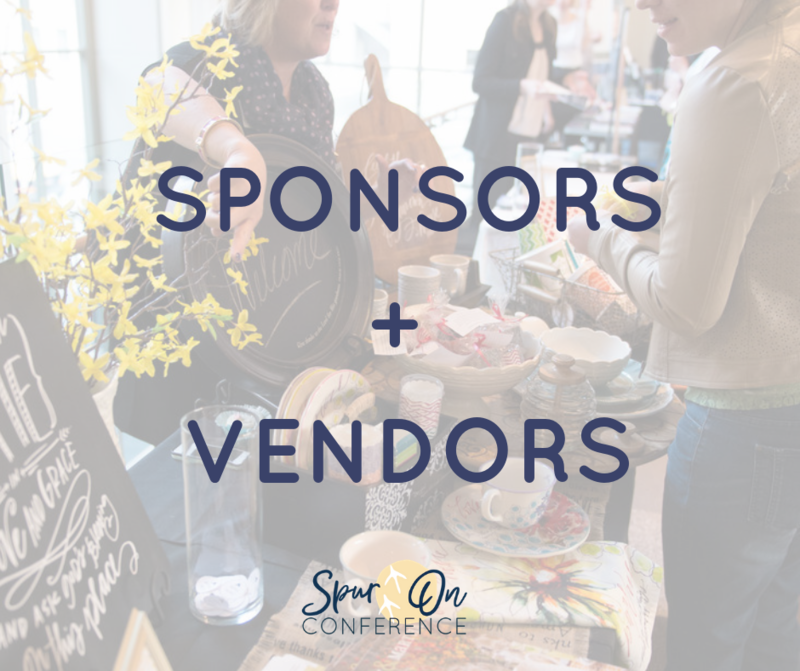 with the amount of support our sponsors and vendors have given SPUR ON! SPUR ON is a 1-day conference to launch girls (10+) and women on mission with Jesus. Join us Saturday, June 22nd at the beautiful Performing Arts Center of KMLHS in Jackson, WI for an inspiring and motivating day out with Christian women of all stages! As you'll see below, we are partnered with some pretty great faith-based businesses and ministries that encourage us in our faith walk. These sponsors and vendors will be at the event with their products, ministries, and resources. Plus they have some fantastic giveaways too! Don’t have your ticket yet? Aren’t they great?! THANK YOU sponsors and vendors! of giveaways at our Facebook event page here. See you at SPUR ON!